Whether or not the buyer is willing to pay your asking price, an appraisal is a necessary step in selling your home. This is because the lender requires an objective evaluation from an unbiased, professional, third party to determine your home’s true value. But what exactly do we look at when in an evaluation? Here are five key areas an appraiser assess when determining the market value of your property. No matter how well maintained the exterior of your home is, and the surrounding property, the condition of the interior is an important factor in assessing the value of your home. For example, an appraiser will pay close attention to things like the condition of your windows, floors, plumbing, electric and overall state of your bathroom and kitchen. The next thing the appraiser will look at is the size of your lot and the size of your home. Bigger lots and houses are evaluated higher typically because buyers tend to prefer large homes and properties. For example, more bedrooms, more bathrooms and a large backyard means a higher market value. Appraiser will also look at things like number of closets, and additional rooms like laundry rooms and mud rooms when assessing your home. Renovations, like new floors, an upgraded bathroom or kitchen are considered when apprising your home. Though only aesthetic, a fresh coat of paint can also play a factor in your home’s evaluation. In the case of older homes, pay special attention to plumbing and electrical upgrades to ensure that they are up-to-date. While you may not be able to sway an appraiser’s evaluation of your home, there are certainly things you can do help ensure you are prepared. 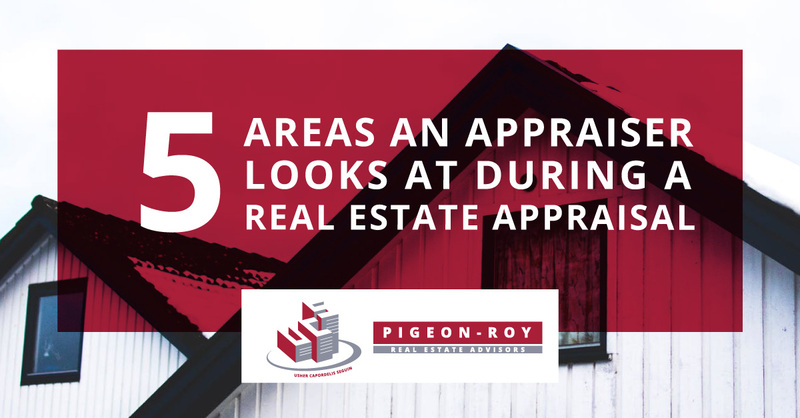 Knowing what appraisers look at can help you determine whether or not your home requires upgrades, repairs or a face-lift. Even if the fixes are not in your budget, understanding what is appraised will help you prepare mentally, and financially, for the final verdict.